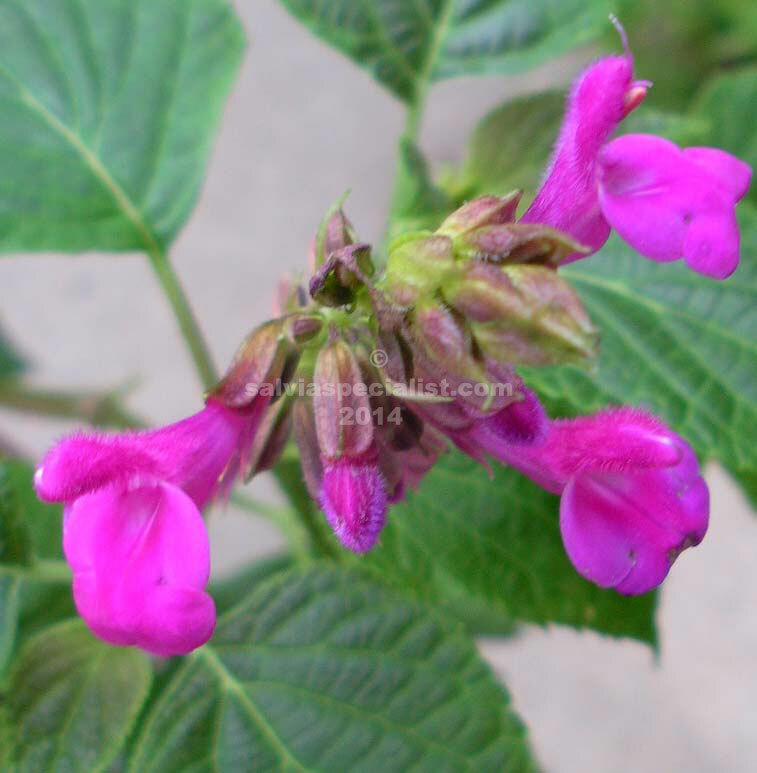 This salvia was new and a star at the first international salvia conference we had in 2008. It set seed so we have it in Australia but so far it is not a strong vigorous plant although it becomes woody rather quickly. I probably have not given it the conditions it wants and if I propagated more plants I could try them in various situations. The backs of the leaves are purple which indicates it likes shade. It has pretty mauvy pink flowers a lot of the time and especially in cooler months. Around a metre in height but not really trialled enough in Australia as yet. I sometimes have plants for sale.